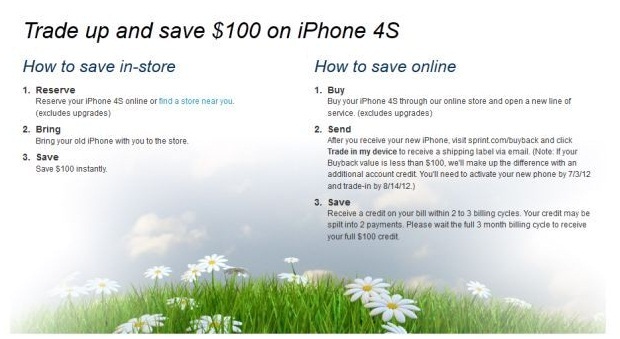 Good news for Sprint Wireless Carrier users that now they can Get $100 Discount on Trade of Apple iPhone 4S Smartphone. Sprint is the only major US Wireless Carriers who is offering truly unlimited data plan for all of its customers globally and with no over data usage charges. Now sprint has comes up with yet another offer of $100 Discount on Every iPhone 4S Smartphone for their customers and users worldwide. Sprint is offering its customer $100 Discount on every iPhone 4S when users trade their Apple iPhone 4S devices from any Sprint rivals and competitors carriers including Verizon and AT&T etc. Sprint customers will get $100 discount instantly when they come by a Sprint store and trade in their old iPhone 4S Smartphones. According to Sprint official website, any customer who owns an Apple's iPhone from any competitor to switch to Sprint with its truly unlimited plan will get some money off in the process. This offer is valid until July 1st, people who trade in an Apple iPhone from AT&T, Verizon or any other wireless carrier that offers Apple's smartphone will get a $100 discount when they buy a new iPhone 4S. 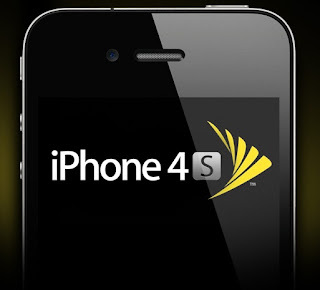 Customers will also get a credit on purchasing of iPhone 4S online; customers will then receive the $100 savings as a credit for a future Sprint Wireless Carrier bill. This offer does not include upgrades; it's strictly for a new two year contract and a new line. So what you guys are waiting for just Click here and get more information on this new promotion and get $100 discount on every Apple iPhone Smartphone. For further details read the texts in image below.